NASA's Commercial Crew Program taking shape, the agency's answer to replacing the low-Earth orbit crew transport capability America lost with the retirement of the space shuttle program in 2011. 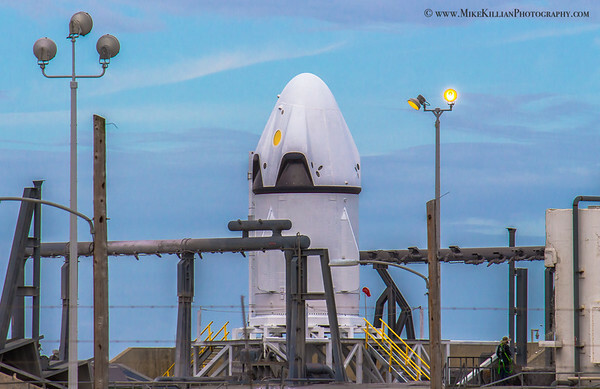 SpaceX and Boeing each have multi-billion dollar contracts to design, build, test & fly two capsules for astronaut transport to and from the International Space Station, known as the Dragon (SpaceX) and the CST-100 (Boeing). Together the three organizations will eliminate America's dependance on Russia for crew transport & return that capability back to the U.S. by 2017. Images copyright, all rights reserved, use without permission is prohibited.